Club Penguin Cheats by Mimo777 Club Penguin Cheats by Mimo777: Penguin Style Sneak Peek! Here's a sneak peek on the new clothing catalog coming next month! What do you think of this outfit and what other kinda outfits do you think we'll see in this catalog!? 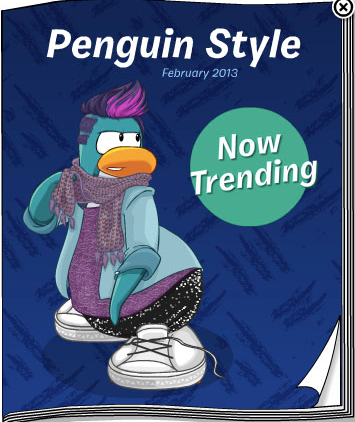 I'm sorry, but I'm just trying to figure out weather that penguin on the front is a girl or a guy. I just hope that the penguin in the picture is not a boy..